You are invited to an old fashioned afternoon at the pictures on Saturday 1st December 2018 from 12noon until 5pm at Kardomah94 on Alfred Gelder Street. 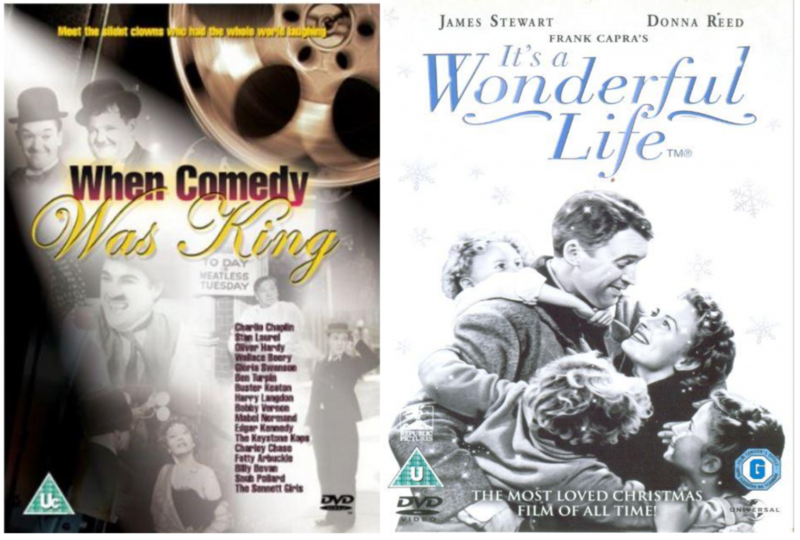 Lots of old favourite comedy ‘kings’ such as Charlie Chaplin, Laurel and Hardy, Buster Keaton and many more, followed by ‘Its a Wonderful Life’, produced and directed by Frank Capra and starring James Stewart and Donna Reed. This ‘feelgood’ film was released in 1946 into a world ravaged by war, and is now regarded by the American Film Institute as No1 in their list of ‘most inspirational American Films of all time’. Tickets £5 in advance, available from www.HullBoxOffice.com or from Kardomah94, or by ringing 01482 445747. Tickets are £6 on the door. Raising funds to help preserve the ruins of the National Picture Theatre, the remains of a bombed cinema on Beverley Road Hull which is now listed for its historic interest. Be the first to comment on "It’s a Wonderful Life."